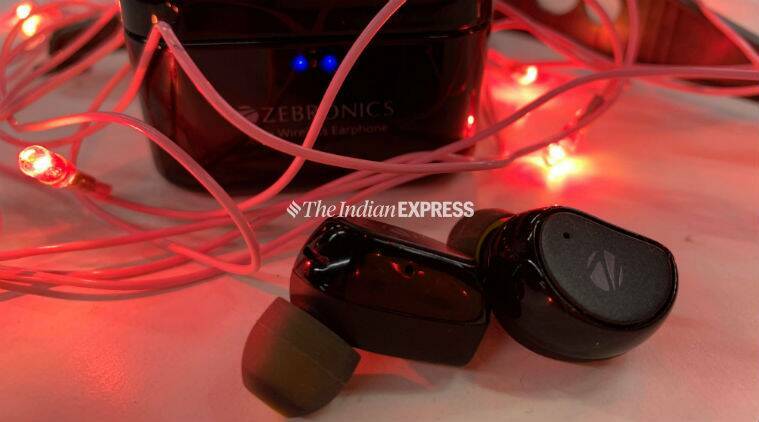 Zebronics Zeb Peace review: The audio quality of the Zeb Peace is way better than you would expect from a wireless product at this price range. The Zeb Peace is a wireless ear pod that comes in a small charging pod of its own. Open the charging pod and you see the two ear pods resting inside. The success of the Apple AirPods has made every company want to cash in on the craze for truly wireless ear pods. There is a good opportunity here also because the Apple AirPods, the Samsung Icon X or the Bose Sound Sport Free are affordable for the masses. 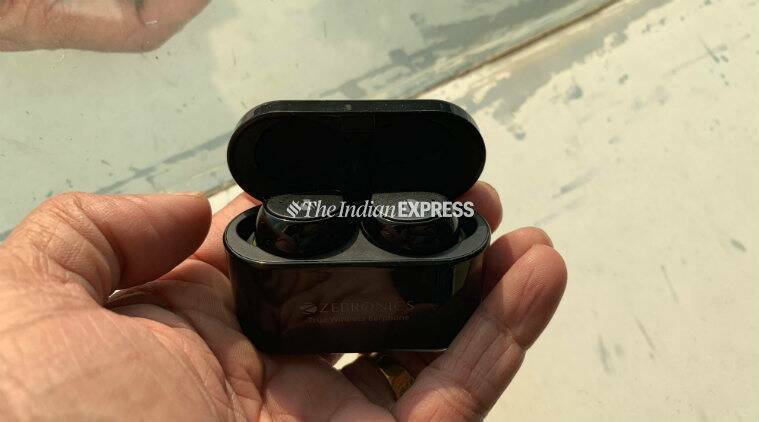 Indian gadget company Zebronics has launched its Zeb Peace aimed at this very user segment. The Zeb Peace is a wireless ear pod that comes in a small charging pod of its own. Open the charging pod and you see the two ear pods resting inside. The ear pods themselves are very compact with no frills or unnecessary appendages. The ear pods fit well in your ears without fins and I used it for a few early morning jobs and after a while, I did not even feel they were there anymore. Couple of things to note here. One, the pods are a bit difficult to take out of the charging pod, especially if your fingers are stiff in the Delhi winter. Then, there is a possibility the pods get paired separately to the source. You need to ensure the two are paired to each other before you pair them to the phone. I did struggle for a while as I had not read the manual. The audio quality of the Zeb Peace is way better than you would expect from a wireless product at this price range. I was pleasantly surprised that my regular playlist sounded really good on the ear pods. The audio profile is rich and well rounded; nothing is flat or sharp. The bass is also under control, but still potent enough for you to enjoy the off dinchak song. I listened to some soulful music by Jagjit Singh and thoroughly enjoyed the experience. You press the side of the ear pods to pause a song, or to take a call. This needs a bit of pressure and you will take time getting used to this. For a later version, Zebronics could look a swipe-based system for navigation. The best thing about Zeb Peace has to be the fact that the charging pod has a battery of its own and can charge the pods when they are inside. The one issue I had with audio quality is the fact that when a call comes in, the ear pods go off the stereo and the voice is just on the left ear. Given the state of networks in India, I was struggling to make sense of the conversation more than once. On the AirPods, the stereo effect on calls makes it a more natural experience. The best thing about Zeb Peace has to be the fact that the charging pod has a battery of its own and can charge the pods when they are inside. You can squeeze out about six hours of battery life together and that is good. The Zeb Peace is a very good wireless ear pod when it comes to sheer audio playback. The battery backup in the charging pod takes it one notch up compared to other affordable ear pods, which don’t offer this feature. At a price of Rs 3,999, the Zeb Peace is a buy you won’t regret, despite the small issues.